Not so long after iOS hackers got their hands on the iPad mini, it took them less than 24 hours to jailbreak it. MuscleNerd, a famous iPhone hacker, posted the image you see above on his Twitter account. The screenshot shows a hacked iPad mini with gained root access. Unfortunately we won’t see this jailbreak. MuscleNerd stated that this is a “failbreak”, a jailbreak that won’t be released to the public. This “failbreak” was developed by two other iOS hackers phoenixdev and chpwn and was used on the iPhone 5 the first day it was released. 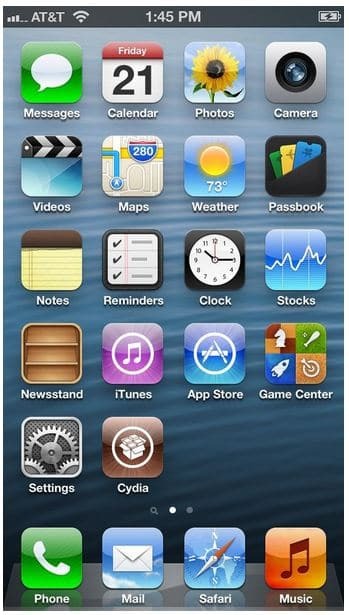 The screenshot below is Cydia installed on the iPhone 5 using the failbreak.